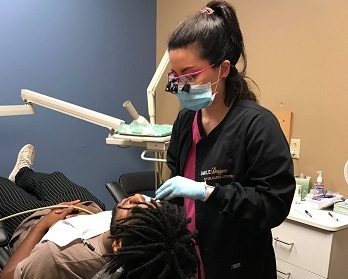 Dr. Karen Cooper, a cosmetic dentist in Savannah GA, creates matchless and timeless smiles that are "the talk of the town"
Word about Smile Designs by Dr Karen Cooper's superior cosmetic dental work has spread like wildfire throughout town. 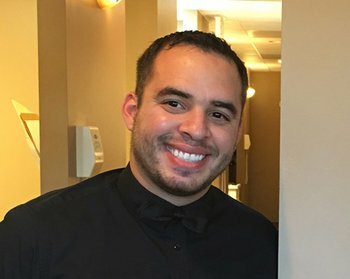 We create gorgeous, custom-made smiles to last a lifetime. 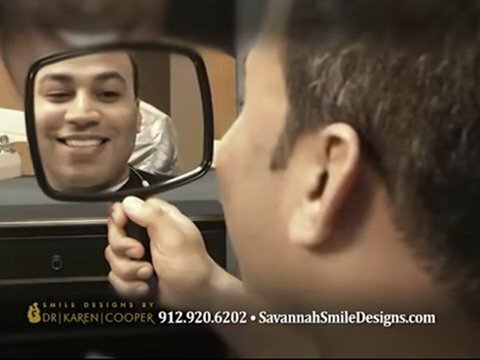 See why we are the choice dentists in Savannah, GA.
Southern hospitality meets dental spa treatment. When you walk in the door, you are warmly welcomed by name and instantly pampered beyond just dentistry. We treat you like family; welcome home. We move as fast as you do. 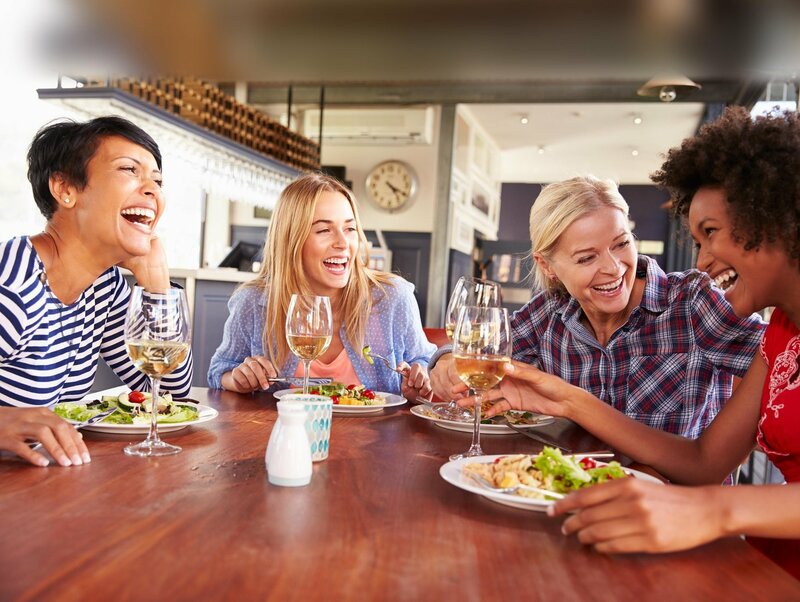 We offer single-visit restorations, evening appointments, and affordable financing because we want you to be happy with your smile decades from now. Our drive for continual education is to become elite full-service dentists for you. You won't be bounced around to other offices. We perform cosmetic, implant, and family dentistry all under one roof. Elizabeth D., actual patient from Savannah, GA.
My front tooth broke, and my former dentist and one other could not see me for two or three days. The wonderful people here understood and took me right in. They even stayed late to get me fixed up. Thank you all! 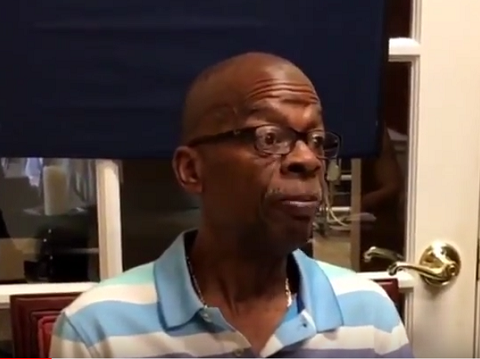 Pat W., actual patient of our Savannah, GA dentist. We believe in lifetime care. We pour every ounce of ourselves and training into creating a beautiful smile that harmonizes with your facial features and personality. We treat our patients like dear family. We do not believe in "patchwork dentistry," which often leads to more dental work and more money down the road. Our goal is to catch small issues before they become bigger problems. We are completely transparent about financing and go above and beyond to make sure your smile and new-found confidence will last for decades. We pride ourselves in our gentle care and quality dental work. 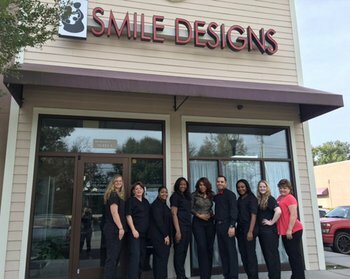 We strive to provide stunning cosmetic dentistry to Savannah. 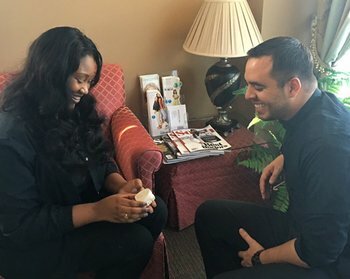 Dr. Karen Cooper's brilliant dental work is performed with southern hospitality in a spa-like setting. How can we assist you personally? Quality dentistry for the entire family all under one roof. 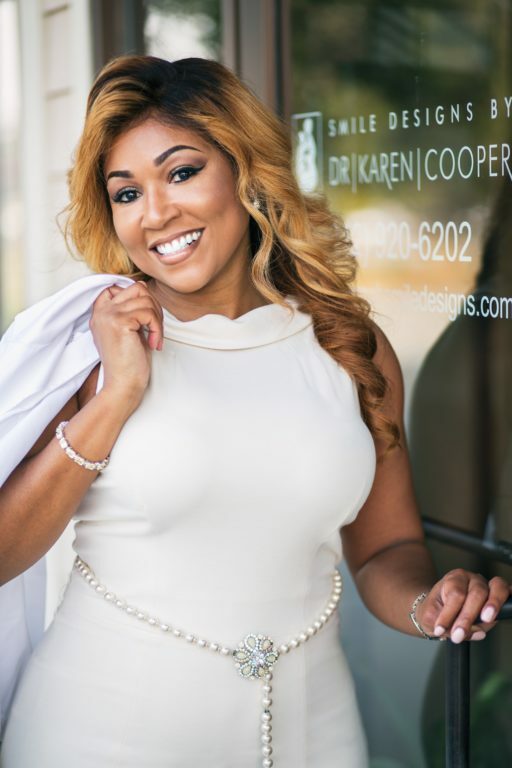 Get a smile that reflects your true, natural beauty with our exquisite cosmetic dentistry services from Dr. Karen Cooper. 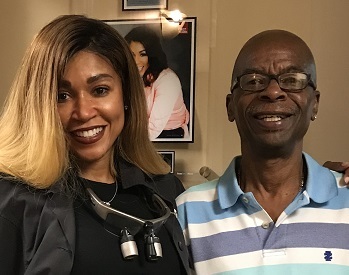 Dr. Karen Cooper - your caring, skilled dentist in Savannah, GA.
‘‘Many of my patients tell me how wonderful they feel about themselves and how their life has improved just by having a better smile. I want the whole world to experience that, so I go above and beyond and don't rest until everything is just perfect. What Motivates her to be the best? To support and mentor the youth in the local community. ‘‘The vision of Urban Hope is to bring change to the inner city through its children, by giving them hope for a better future, through Urban Hope’s after school and summer programs. You can show your support by donating on Urban Hope’s website. 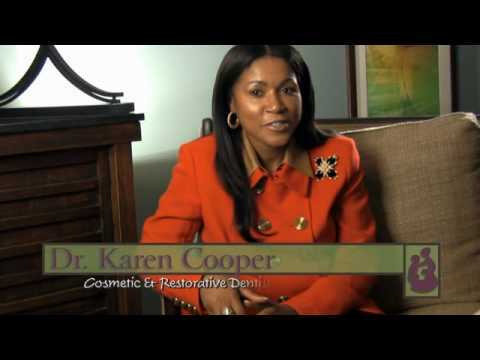 Dr. Karen Cooper and the children of Savannah, Georgia greatly appreciate you! Your new-and-improved smile are just ahead!